Measurements from Kisolanza plantation demonstration site reveal potential growth rates of using improved planting material and best practices. 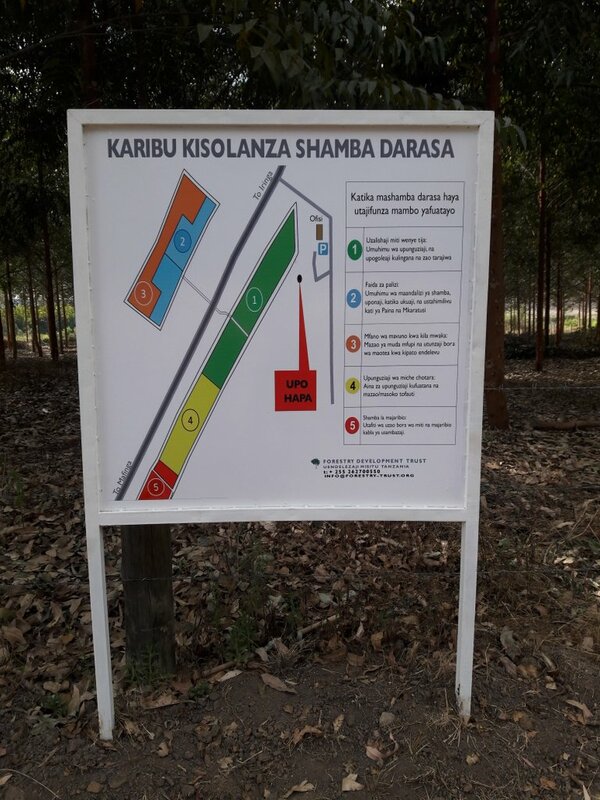 Kisolanza plantation demonstration site has five learning areas: plantation management, plantation maintenance, coppice management, clonal hybrids and species trials. 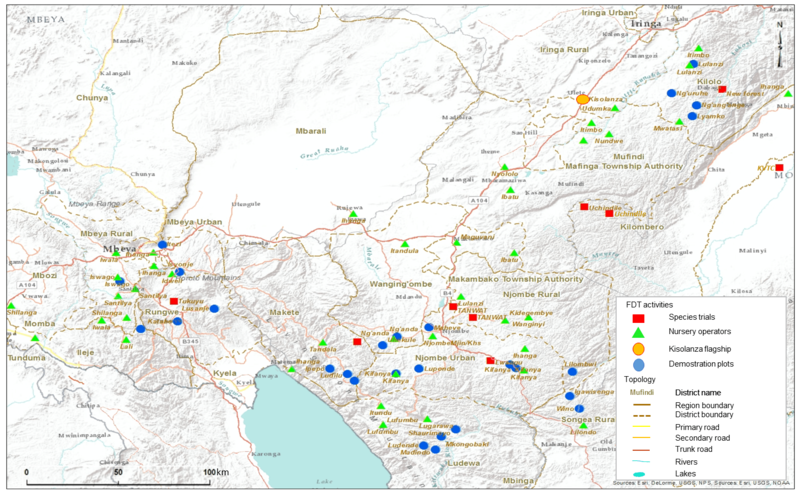 Results from measurements taken in July 2016 highlight some key learnings. 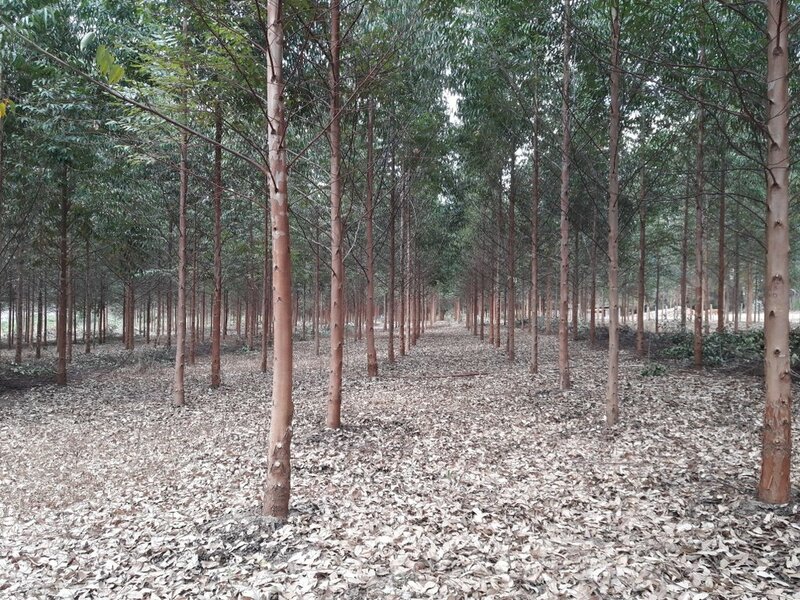 For example, the stands of Eucalyptus grandis demonstrate the growth potential of improved planting material under optimal management including thorough land preparation, fertiliser application for early growth, full weed and termite control. A positive correlation between fertiliser levels and growth was most pronounced during the first year as the trees outcompete weeds. Weeding is also essential for tree survival and growth, with eucalyptus experiencing 96% mortality where no weeding takes place. 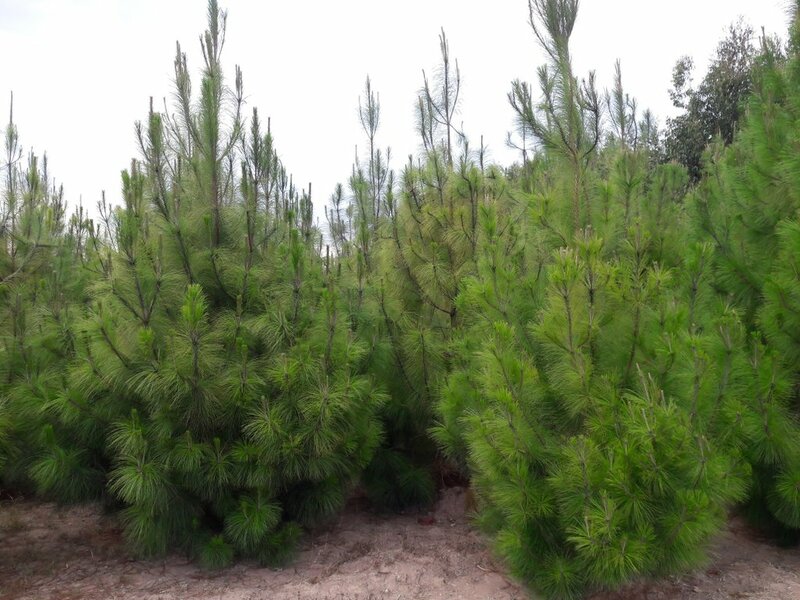 Tree volumes respond to spacing regimes and favourable MAI was seen after 31 months of 26-35 m3/ha, as compared with industry average of 15 m3/ha. Site capture occurred within just two growing seasons, with optimal growth and reduced costs thereafter. FDT’s Yuda Mkollo emphasised the importance of considering market when managing plantations, “The Kisolanza demonstration sites help to highlight the importance of spacing, thinning and pruning regimes in relation to different target markets, such as utility and construction poles, sawn wood and fuel wood.” In October 2016, all trees were pruned to 2m while various intensities of selective thinning were applied for demonstration and learning. This leaflet provides an overview of their purpose and early results, while this presentation provides a useful training resource.